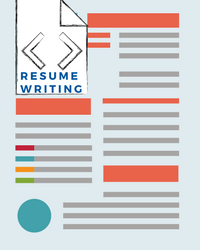 10 Things you need to keep in mind before writing your resume! Your academic credentials are one of the most critical parts of your resume. Though most US universities are looking for "well-rounded" students if you don't have the academic chops to succeed at a top school, no matter how many clubs you lead, the admissions committee won’t consider you. Universities like to see applicants who not only have stellar marks but who do so while taking the most challenging courses. If your school offers AP, IB, or honors courses, you should take as many as you can successfully manage. For example, students admitted to the University of Virginia, which is ranked in Top 30 in the nation by us, had an average weighted GPA of 4.23 in high school. The only way to achieve this sort of GPA is to take weighted courses. If your school doesn’t offer advanced classes, you should see if there’s a dual enrollment program, which will allow you to take courses at local colleges. After grades and test scores, your activities are the most important thing college admissions committees consider. Admissions officers like to see students have a life outside of coursework. Clubs and sports demonstrate that you can earn good grades even when you’re under pressure to perform on the soccer field or at the debate competition. A highly involved student with a slightly lower GPA might get accepted to a school over another student who does nothing but study. If your school doesn’t offer any clubs or sports that interest you, consider starting your organization. Forming your club will demonstrate to the admissions committee that you’re a self-starter with passion. The activities you participate in through your school are not the only activities the admissions office is interested in hearing about. Involvement in scouting, recreational sports, and community clubs or organizations are good things to write about on your resume. Including these activities also gives you the opportunity to show the admissions officer that you’re deeply involved in your activities. Though you should only include things on your resume that you’ve been involved in during your high school career, you can get involved in outside activities much earlier and can still include them. For example, if you started doing summer swim team in elementary school and still swim for the team in high school, you can show the admissions committee that you’ve been involved in the team for over a decade. Though most students know that activities are an important aspect of college admissions, many forget that depth of involvement is an important factor. You shouldn’t just join every club your school offers. Leading in a couple of organizations means much more to an admissions committee than memberships in ten different clubs. Pick a couple of activities you enjoy and throw your heart and soul into them. You should be just as diligent with your sports and clubs as you are in class. Show up for every event, help out the current leaders, and make friends with the other team or club members. The more involved you are, the more likely you are to get chosen for a leadership position in your junior or senior year. Though it can be tempting to pack your resume with swimming, lacrosse, marching band, debate club, Model UN, and all the other activities your school offers, it’s best to stick to the things you love. Not only will deeper involvement in fewer activities reflect more positively on you, but you will also have more free time for study, volunteer positions, and internships. Community involvement is one of the top things selective colleges look for in prospective students. Demonstrating that you give back to your community signals that you’re someone the school wants to be associated with it. You can also use the opportunity to get involved in things you’re passionate about; you don’t need to volunteer at an organization that doesn’t interest you. If you like art you could volunteer with an organization that provides art programs for disadvantaged children or brings art into hospitals if you’re passionate about human rights you could work with an organization that resettles refugees or provides English courses for newcomers. There is no lack of charitable organizations in need of help. Not only does volunteering make you more likely to get into your dream school, but you’ll also have the opportunity to make a difference in the lives of others-a reward unto itself. Internships and work experience can make your resume stand out. An internship or job relevant to your college goals can demonstrate passion and drive to the admissions committee and will allow you to highlight your talents and the skills. Even if your work doesn’t demonstrate any skills you think will help in college, you should include it. Your work at the local ice cream shop doesn’t just prove to the admissions office that you know how to dish out a mean banana split-it also shows that you’re a responsible person who has the time management skills to balance a job and school, and is thus more likely to succeed in college. School isn’t the only place you can learn. If you participated in any programs like Governor’s School or math camp during the summer, you should include those programs on your resume. You should also include other coursework that may not appear on your transcript; for example, courses are taken for fun through local colleges. The awards you win in high school may not seem important, but you should include them on your resume. If you won the state science fair, got first prize in a poetry competition, or were on the honor roll, you shouldn’t leave it off your application. These awards don’t have to be academically oriented either-you should also include awards you received in your extra-curricular activities. A Boy Scout Eagle Award or Girl Scout Gold Award, a prize for sportsmanship, or accolades for your musical talents should also be included. These awards can distinguish you from other applicants and show the committee that you have the drive to succeed in college. Don't forget to list any special skills you have on your resume. If you play the violin, speak French fluently, or are a coding genius, you should make sure that the admissions committee knows. Colleges are looking to craft a class-they want to bring together a group of students who can learn both with and from each other. If you can show the admissions committee that you have skills or talents that will add to the class, you should highlight that. Though many students don’t think schools care about their interests and hobbies, your weird pastimes can make a big difference in your application. Universities want to admit interesting people; they want people with passion. The best thing you can do for your admissions package is to live your life to the fullest and follow your interests. Not only can you add your cool hobbies to your resume, but pursuing your hobbies will also make life more fun and will give you something extra to write about in your personal essay. When application time comes, make sure that the admissions committee knows what makes you tick. Once you’re a senior in high school, there’s not much you can do to improve the content of your resume, but you can improve the presentation. Be detailed and spend a lot of time thinking about how to present yourself on paper best. Put yourself in the admissions officer’s shoes-he doesn’t know you personally and can only learn about how great you are from your resume. You have to make it as easy as possible for him. If you won the Thomas Jefferson award at your school, be sure to explain what this award is and what you did to earn it. If you volunteered at the local homeless shelter, include how many hours a week you spent helping out. Though you don’t want to inundate the admissions officer with unimportant details, you do want to ensure they have a complete picture of who you are. The more you tell the admissions committee, the better they get to know you and the more likely they are to want you at their school.